Hello. I'm Angel. Nice to meet you. I'm Taiwanese American, born in the states, but my first spoken language was Taiwanese thanks to being raised by my Taiwanese Grandparents. I'm an amateur-ish photographer and I really enjoy making YouTube videos and Vlogs. I love to eat and cook. I'm a constant dreamer and believer that you can do whatever you set your mind out to do. Though not a professional chef, my food tastes good . . . or so my friends say which is the most important part, right? My cooking style? I like to keep it simple & fun. Someday when I grow too old to remember, and there's perhaps none of my elders to ask, I want to be able to go back to these videos and cook the foods we once enjoyed together. 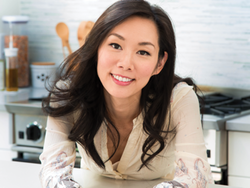 Check out my videos and help support me by subscribing to my YouTube channel (Angel Wong's Kitchen) and be the first to watch new recipes as they get served up. ​Enjoy! PS. Formal introductions and more About ME are in my first Vlog. Check out the video here. the love of food ﻿♥."